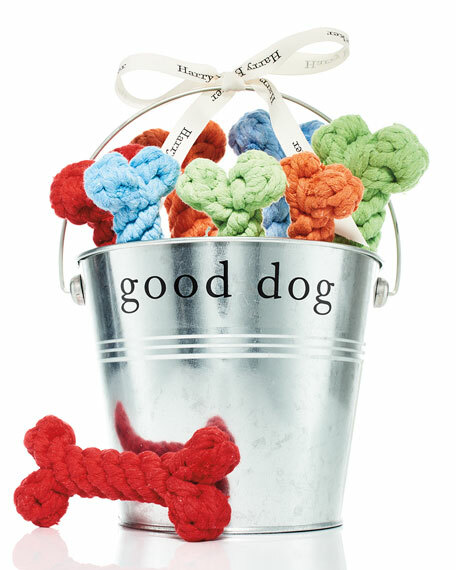 Galvanized steel Good Dog bucket filled with cotton rope bone toys. Bone toys made of recycled cotton yarns. 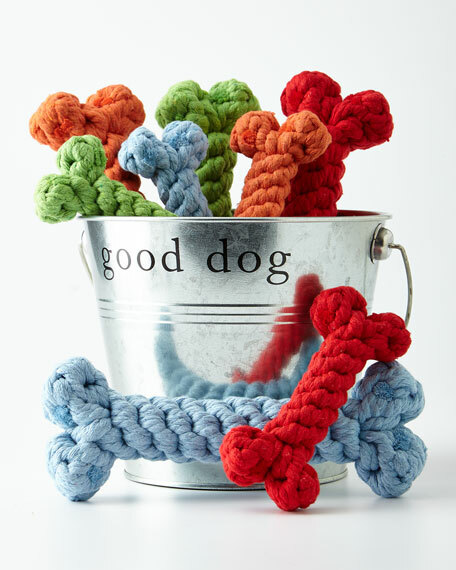 Includes four large and four small bone toys in red, green, blue, and orange. Recycled steel bucket, 7.5"Dia. x 10.5"T.
For in-store inquiries, use sku #1909378.